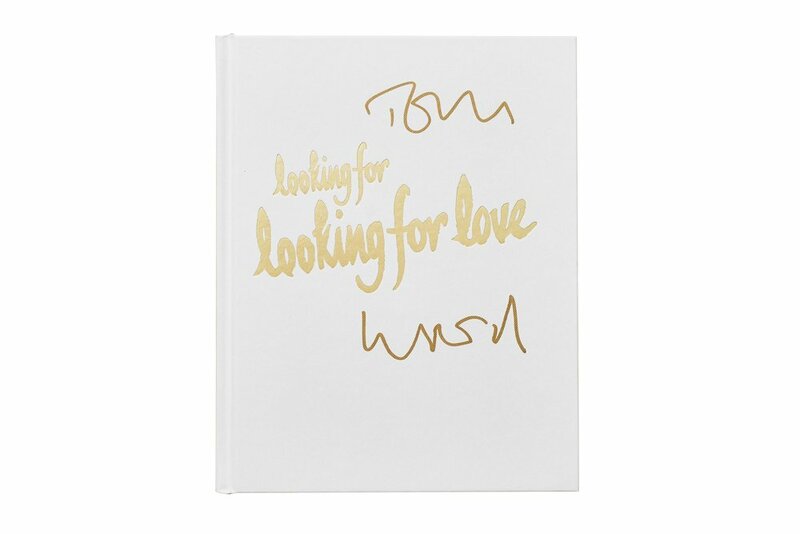 There aren’t many photo books to my knowledge where the content is essentially an homage or love song to the rareness and unavailability of another photobook, but Gareth McConnell’s Looking for Looking for Love is exactly that. McConnell’s appropriation from the original Looking for Love draws from the endpapers which were composed of dozens of small snapshots - outtakes that overlap and mashed together the dancing, grinning, drinking men who were momentarily stunned by Wood’s flash. McConnell scanned those endpapers and isolated each individual photograph reconstituting it’s autonomous space but with the ragged borders the previous collage overlapping created. Printed in risograph, the pictures take on an exaggerated saturation and where the dot pattern is enlarged to the point of breaking the image apart. More gaudy color, more 80s Mtv style dayglow fleshtones, the lack of details obscuring what the original photographs tended to reveal – the pristine attention to one’s “look” and dress preparing for a night out which has succumbed to the heat and sweat of the club as the night draws on and pints get spilled onto Polo shirts. The printing creates a superficiality that I am usually weary of, the surface and nothing but. So why does this book appeal? I think it has something to do with what the pictures describe in the simplest terms. Time and time again, people are looking into a lens and they seem genuinely happy for the presence of a photographer. There is a moment of unity, of understanding, between the individuals and the posing groups in recognizing themselves being photographed. Whether they understand what the intent of the photographer is, or most likely, not, they are accepting of the momentary flash burn. As a photographer in an age where everything is suspect, that can be a rare and welcoming response.